The Army Remembrance Pin, a gift from the Chief of Army, is a symbol for the families of all Army members who dies while in service, both domestically and on operations, since 3 September 1945. The pin also demonstrates Army’s deep appreciation of the members’ and their families’ contributions to the Australian Army. Parents and/or stepparents.A person who is not listed as an eligible family member may apply to have special consideration to receive the Army Remembrance Pin. These applications will be considered by the Approval Authority on a case-by-case basis. In his exploits with his mates; they were heroes, every one. All his Legion mates listened, for they knew whereof he spoke. Norm Smith 8 RAR Support COY. Anti- Tank PLT: Tracker Dog Handler Malaysia, one of Billy Hoban’s boys) and a high profile Aussie Rules player. Norm’s funeral is planned for 1030 on 1 March 2019 at the Norwood Park Crematorium, 65 Sandford Street, Mitchell ACT. Major Vincent Murphy passed away in the Bunbury W.A.SJOG Hospital at 0230 hrs this morning 20 Dec 2019. He served as a Platoon And Company Commander (Vietnam) with the RAR as well as AATTV and SASR. He was SO2 OPS HQ W COMD on retirement. enough Veterans to provide a Guard of Honour. October, 2018 at home after a three year battle with cancer. He served in Malaya and Vietnam. He passed away at home after a three year battle with cancer. Vale Richard Young from Lyndoch SA. Richard passed away on Saturday 04 AUG2018. He served with A COY 8 RAR Australia and Vietnam between 17/11/69 and 1/05/70. 4721198, David John JONES of Naracoorte South Australia passed away on 24th July 2018. He served with 1 A.R.U. from 28/5/1970 to 17/6/1970 and then with 8 Battalion from 18/6/1970 until 10/11/1970 with 6 Platoon B Company. Trevor Douglas PHILLIPS. Trevor died in the Mary Potter Hospice here in Adelaide yesterday (25/7/18) evening. He had been battling cancer and he is now at peace. Our thoughts and condolences go to Heather and family. Trevor was with the CMF and served as an observer in Vietnam with 8 Battalion in April 1970. Maj M.C.Peck (RTD) OC D COY Vietnam. At Mals request he had a quiet family funeral and our thoughts go out to his family. Tony Jucha 2nd LT BCOY Malaysia/Vietnam passed away on the afternoon of Sunday 17June2018. Members of the extended 8 RAR family where amongst the hundreds to farewell our first 8 RAR Association President, MAJ ( RETD) Wlodzimierz Anthony Jucha (Tony) at his funeral on Friday 22 JUN 2018. 14699 Donald John Juillerat passed away on Tuesday night12 JUN 2018. Don served in Vietnam with 1RAR 65-66 & 8 RAR 68-69. 56013 Carl Andrew "Race" Ranson died on Anzac Day 2018. D COY 8 RAR Vietnam- 1 RAR Singapore. James Murray Funeral Chapel, 44 Blackall Street, Broadmeadow at 11.30am. Dolly's service will be next Monday the 4th of December at the Nelson Brothers Funeral Home at Koroit Creek Road Williamstown (a suburb of Melbourne) at 10.30 am DST. It is with a sad heart that I announce the passing of that Old War Horse Major Phil Pritchard. His widow Margaret advised me today, that Phil passed away 20 Oct and was buried in private according to his wishes, at St Albans Chapel, Kooyan TAS. 15725 Ronald (Ron) Organ passed away on Sunday morning 29 October 2017 at age 78 in the Holy Spirit Hospital in Brisbane. Terry 'Harry' Harris, sadly passed away quite suddenly (due to lung cancer) on Tuesday, 20 June 2017. Harry served as a forward scout with 5 RAR on their first tour of Vietnam (1966-67), and he also served in Malaysia with 8 RAR (c. 1968-69). 329 Nursery Road, Holland Park, at 2pm on Tuesday 27 June 2017. Vale: Leigh Larter Support Company 8RAR Vietnam. Vale: Dutchy Holland. In 1954 Dutchy served in 1 RAR and 3 RAR in the Korean War. In Vietnam he served in C Company 6 RAR in 1966-67 and 8 RAR in 1969-70. He also served in 8RAR Malaysia 1967-69. Celebration of Dutchy’s life will be held on Monday 19 June at 1100hrs at the Blackbutt RSL and all his mates have been invited to attend. Death of Dieter Juckel Dieter passed away last Friday 9th June 2017. PLT SGT 3 PLT ACompany Vietnam. Funeral arrangements TBA. Friday 2 June 2017 commencing at 2.00 p.m.
Late Notice for Bob Leverington. Bob served the full tour of duty in Vietnam with 8RAR, in Support Company. 44583 Robert John (Bob) LEVERTON, born in Adelaide SA on 17/2/1948 and died in WA on 6/10/2016 at age 68. His service and cremation are to be held at Pinaroo Valley Chapel & Crematorium(the larger one) @ 3PM Friday 20th JAN 2017. Anthony ( Tony) Marshall 219147 ARU and ACOY 8RAR South Vietnam New Zealander in Australian Army. Mal Pascoe had passed away after a protracted illness. Mal had served with 8 RAR in SVN and later in C Coy 8/9 RAR at Enoggera. His memorial Service will. be held at St Margaret's Anglican Church, 58 Rainbow Street, SANDGATE QLD 4017 on Monday 9 January 2017 commencing at 1100 hrs. Medals to be worn please. If you wish, afterwards at The Full Moon Hotel, 118 Eagle Terrace, SANDGATE QLD 4017. Medals are be worn please. Just been told this am 11thAug 2016 that COLIN FLECTHER 1pl Acoy then CHQ 8RAR passed away last night. · 3795222 Robert Stephen CURTIS passed away on 27 April 2015 aged 66. He was found deceased beside his car at Barham in south western NSW on 27 April 2015. It is believed he may have been deceased for a couple of days, however the Coroner declared the date of death as 27 April 2015. Rob lived alone, it is thought that the symptoms occurred while eating his breakfast and he tried to drive to obtain help. 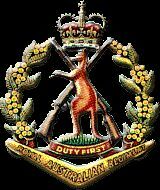 Rob served in Vietnam with 1ARU from 1/10/1969 to 28/10/1969, 5RAR from 29/10/1969 to 9/2/1970 and with Admin Coy 8RAR from 10/2/1970 to 1/10/1970. Rob's Funeral Service was held at the Renowden Chapel in SPRINGVALE, Melbourne on 7 May 2015. 213399 Lachlan Brian Claude SCOWCROFT passed away on 27th February 2016 aged 78 years . Lochie served with B Coy 8RAR in Malaysia before being transferred to AATTV. Lochie served as a WO2 in South Vietnam with AATTV from27th August 1969 to 9 Sep 69 5th SFGA Combat Orientation Course, Nha Trang, then Sep – Oct 69 as platoon commander, 5th SFGA, 2 MSF, Pleiku. Nov 69 – Mar 70, Training Coy, 2 MSF Pleiku. Apr 70 replaced Pettit AATTV, who was killed in action in the Battle of Dak Seang. Wounded in action on 7 Apr 70, Dak Seang and medevac to Australia. In addition to the unit citations awarded to AATTV, Lochie was also awarded the US Valorous Unit Award for action in the Battle of Dak Seang. Lochie was also awarded in 2002 the US Bronze Star for Valor (with 'V' Device) for his part in the battle. His Funeral Service was held on 3 March 2016 at Broule on the South Coast of NSW. passed away 14 July 2016. On Thursday (July 21st) at 11 am. I have been advised that Altona RSL will conduct the RSL service. Keith Stockdale passed away on 20 May this year and his Funeral Service was held on 31 May 2016 in Hervey Bay. He had suffered for some time from cancer and passed away in St Stephen's Hospital in Hervey Bay. Our old friend & colleague, Hook, lost his long battle & passed away at 1155 hours on 25/ FEB/2016. has passed away at 1430 hrs 29/01/2016. D Coy in Vietnam. He later migrated from NZ to Queensland. Passed away in Cairns on 28 April 2015. Burpengary, on Tuesday, 15th December, 2015. Centre on 7th Jan 2015. 15254 Trevor Frank Hagan OAM passed away very suddenly from a massive heart attack on Thursday night 12 November 2015 at age 76. Trevor served in Vietnam with 1RAR 1/6/65 to 11/6/66, in Malaysia with 8RAR 1967 to 1969 and a second tour of Vietnam with 8RAR 17/11/69 to 12/11/70. During his service with 8RAR, Trevor was the Platoon Sergeant of 7 Platoon Charlie Company. Dallas Williams (D Coy Malaysia). Dallas passed after complications at a Toowoomba respite facility on Friday 6 Nov 15. Barry Passlow, died Fri 23 Oct 2015 after battle with cancer. His funeral service was held at Wed 4th Oct. 2015 at the Nowra Shoalhaven Crematorium "Pazz" as he was known, was a 5th intake Nasho, A Coy, 8 RAR, 1966-1968, he was with us in Malaysia. Peter Lauder MC passed away on the 21OCT 2015. Tank has spoken to Brad Lauder and he has made his Dad’s wishes known . There will be no Poppy Service. Peter only wanted members of his old Platoon (9PL), his Vets Gym Group and those Veterans that he knew well to attend his final farewell. You will would appreciate that this will also assist in freeing up space in St Augustine’s Church for family and friends. A grey 8 sash will be provided by the Association and later presented to the family. In lieu of flowers a donation to Icon Cancer Foundation would be appreciated. The funeral will be followed by a cremation with the wake being held at the Royal Queensland Golf Club. The family address is 322 Pinnacle Drive RASMUSSEN Qld 4815 should you wish to send any condolences. Robert Hannah, has passed away after a long battle with Cancer. 6709365 Phillip Leslie Lee A/tank Pl. has passed away in Tasmania during the evening 14 JUL 2014. 12 month battle with cancer. LT COL ( RETD) Max Mules passed away suddenly. He was a founding member and OC Admin Coy. Served in Vietnam with 8RAR from the 30th of July 1970 to the 3rd of October 1970. Ron West passed away Thurs 27 FEB 2013 @ 6pm. Ron’s funeral will be held @ 2 pm on Wednesday 5 March at the Hills Church, 79 Queens Road Everton Hills. Pieter Koster passed away on 4 January 2013. I am dismayed because his death happened over one year ago and this is the first time I have become aware. I received this morning a letter dated 11 February 2014 from the Hobart office of the Public Trustee advising of Pieter’s passing and requesting he be taken off our “mailing list”. If you aren't aware, sadly John's life support was turned off and he has passed on and his funeral is being held on the Gold Coast this Friday at 10am. Mick Graham Transport Platoon Malaysia passed away late Friday night, 8th November. His Funeral Service will be held at 10.30 am on Monday 11 November 2013 at Partridge House, 38 Partridge St, Glenelg SA 5045. Parking is available in Penzance Street at Glenelg. John served with 8 RAR in Vietnam from 19/11/1969 to 13/08/1970. For a period of time he was the CO's driver in BHQ and later went to A Company. George passed away peacefully in his sleep on the afternoon of 17 April. away Wednesday 23 Jan 13 at the Alfred Hospital, Melbourne. 8RAR during Vietnam and Malaysia 1967 – 1970. He sadly passed away on Friday the 5th of October 2012. His funeral will be held at Traditional Funerals Morayfield Road Burpengary Thursday 11 October at 1:30pm. Ken Sleep SPT COY Vietnam passed away on Friday 17 August 2012.